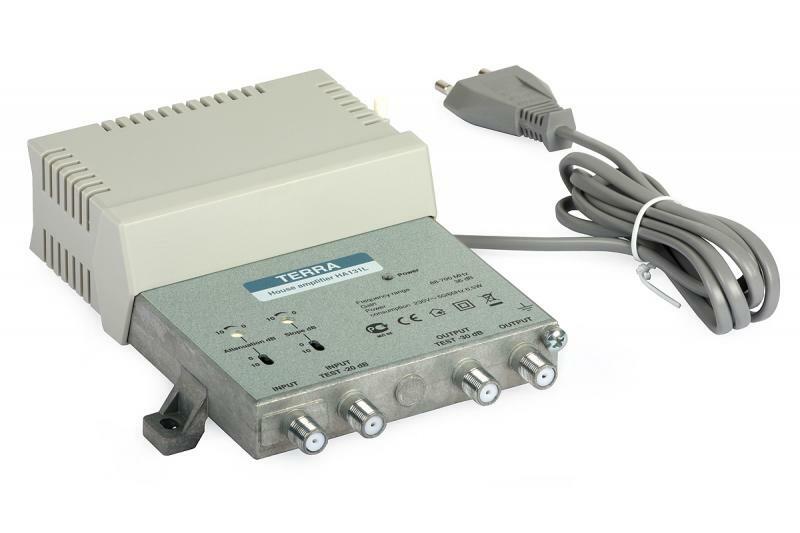 TERHA131 is a high power RF amplifier (FM and TV signals), with gain up to 36 dB and output level up to 122 dBμV. 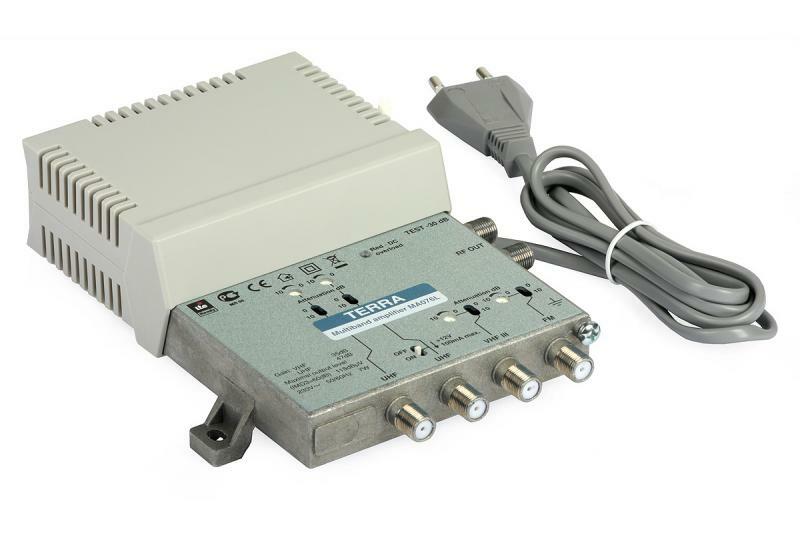 This makes it ideal for medium and large shared antenna systems (MATV). The built-in LTE filter blocks the unwanted LTE signals in the 800 MHz band (791- 862 MHz). 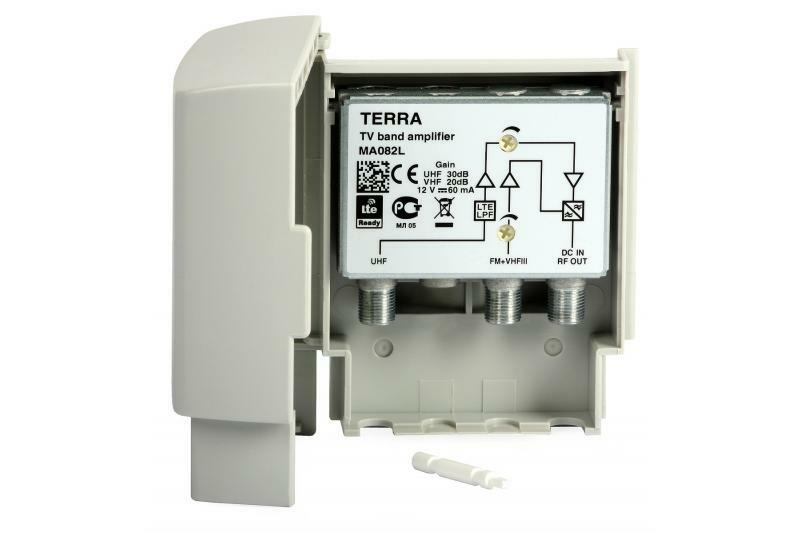 The TERHA131 amplifier is equipped with switches for selecting the sub-ranges of gain and slope adjustment. The built-in cable attenuation compensation equalizes the frequency characteristics at higher frequencies. Aside from input and output, the amplifier also has test connectors. The die-cast housing provides high screening efficiency by preventing the penetration of interfering signals to the unit.